I'm afraid I don't know who this man is either. 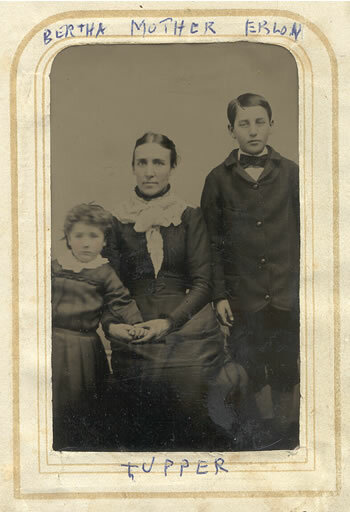 The picture was found in Ruth Elizabeth (Bentley) Tupper's album, so he must have had some sort of connection to her and Nova Scotia. The only Tupper I know to head to the midwestern US was Samuel Tupper, Lizzie's brother-in-law, but Samuel only lived to his mid-fifties. The photographer's information is as follows: "Geo. R. Elliott & Co., S.W. Corner High and Town Sts., Columbus, OH." I'm afraid I don't know anything about this man, other than he is labelled by some unknown person: Rev. J. Noble. 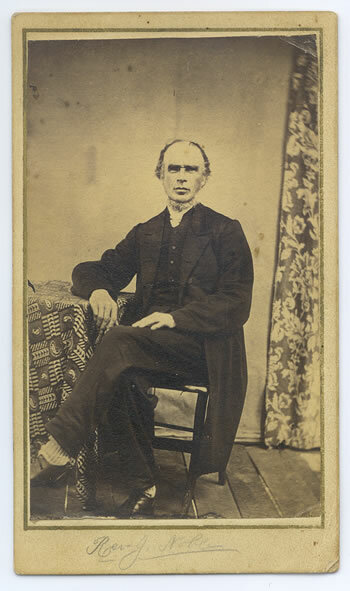 This picture was part of Ruth Elizabeth (Bentley) Tupper's album, so he would have had a connection to Halifax or to Colchester County, Nova Scotia. Or he could have been known to the Tuppers while they lived on McNab's Island I suppose. This picture is blank on the back, and there is no photographer's information. I have no idea who this little girl is. The photographer is C.W. 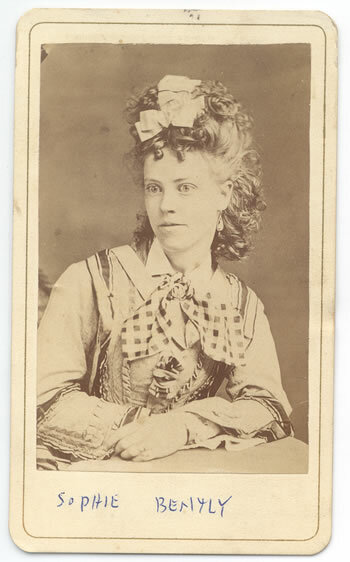 Kelly of Truro, N.S. 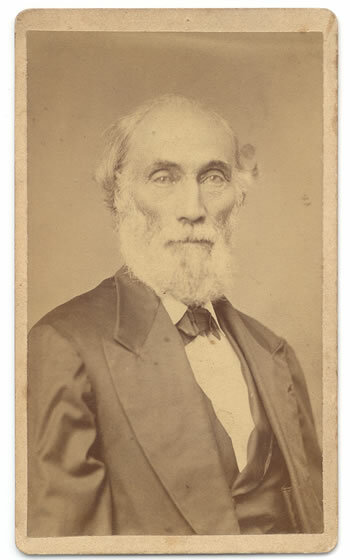 J. Scott Hutton was the principle of the Deaf and Dumb Institute in Halifax, Nova Scotia starting in the summer of 1857. 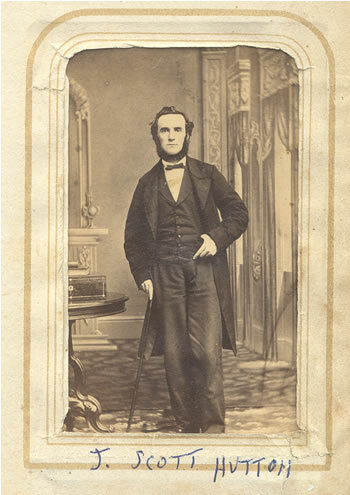 This was only a few months after Robert G. Tupper, son of Samuel and Martha, started at the school. Apparently being the principle also meant that Mr. Hutton also taught, as Robert was described as his pupil. According to Robert's obituary, Mr. Hutton served as an interpreter at Robert's wedding (to Ruth Elizabeth Bentley). 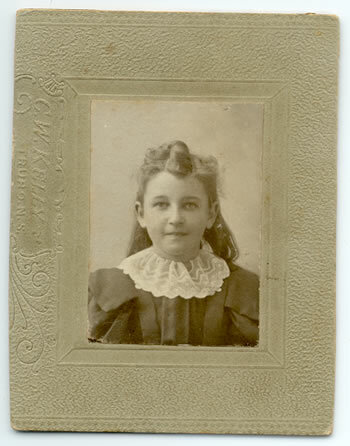 This photo is labeled in the album as Elizabeth Tupper. If you compare it to the other labeled picture of her (Lizzie Bentley) I think you'll see the resemblance. Unfortunately, since this is a tin type, there is no photographer's information available. 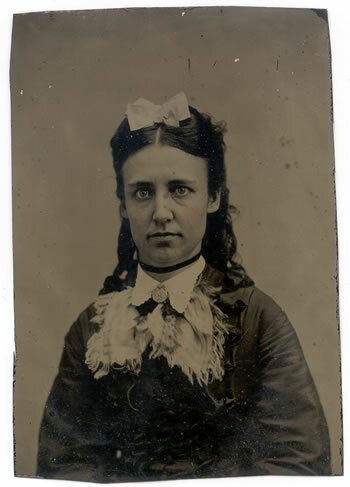 Like almost every other tin type I have, her cheeks have been touched with a little bit of pink.